Is it just me or does no one really talk about what life after pregnancy and delivery is like? You’re recovering, you have a new baby, there is a new dynamic to your relationship. So many things changed in a matter of days. Sure you think about it once you find out you’re pregnant. Things are about to change, your whole life is going to be different. People aren’t afraid to tell you your life is about to change either. But it’s not until you bring that baby home that you know your life has changed. Not so much as soon as the baby is born because you have nurses around the clock and so much help in the hospital. It’s all the time after where you have to take care of yourself (postpartum self-care) along with taking care of a newborn. Let’s just say I was so happy my husband took time off and my mom came to stay once he went back to work. The support you get after is life saving! I have such great friends who were there in those first few weeks too and it means so much. This is my postpartum experience, each experience is different and everyone goes through different things once their babies are born. I loved writing about my experience and I hope you guys enjoy it. I had a rough last month of pregnancy, intense back, and pelvic pain and I was just plain uncomfortable. Looking forward to labor is not usually how it goes, but I was, it meant that he was coming and I wouldn’t be pregnant anymore. What I didn’t think about was the discomfort after delivery. Directly after giving birth the stitching and blood loss was hard on me. Not to mention the complete exhaustion. The constant belly checks they had to do. They push down on your now not so giant belly to make sure you’re not hemorrhaging. It also helps your uterus shrink back down (it doesn’t happen right away – you’ll have a belly for a while still.). Once you get discharged from the hospital (1-2 days after you give birth.) there is a lot of things you have to do know. Medications can’t do this, shouldn’t do that, look out for this and if you start to feel like this. TMI – going to the bathroom after not fun! All this was my experience in the first 2 days after giving birth. To be totally honest, they were the longest days ever. Once we got home, I was worried all the time. I was worried about depression – I know seems silly, but my hormones always seem to get the best of me. For the first week every time I looked at my son I would tear up. I was sad that he’d grow up and worried about all the things he would face in his life. Worried about being alone with him and that something terrible might happen. The feeling went away after a while but I still worry. The nurses were great at the hospital. I read this quote somewhere the other day. “You’ll never forget the nurses that helped you put ice packs in your mesh underwear.” It is so true, after giving birth you have no sense of modesty left (it comes back after a couple of days). The things those nurses have to do, it’s crazy but I’m so glad they do it. Labor was painful, but so was postpartum recovery. Everywhere was uncomfortable to sit, sleeping in certain positions were hard too. Walking too much and too far was painful. And then there are all the possible things that could happen with breastfeeding. My first night home four days after my son was born. I had a clogged duct and got engorged. A rude awakening into breastfeeding, however after a little research I was able to handle most of my breastfeeding issues. To this day, 5 weeks later I’m still in some discomfort, but the healing process is slow. At least I know I’m healing. God has blessed me throughout my postpartum recovery. I didn’t suffer from postpartum depression or any infections. Which I found out was more common than I thought. My advice to new moms about to give birth, read up on tips and tricks to postpartum recovery and what can help. Keep an eye out for my Essential oil post about what oils I used for my postpartum recovery. I couldn’t imagine going through it without them. Along with your postpartum recovery, you got a little one to take care of. 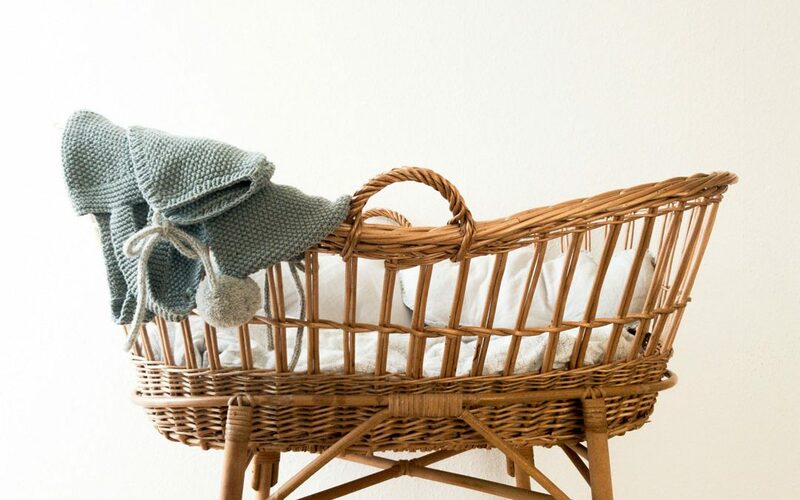 If you’re a first time mom – this also means its the first time looking after a very tiny human being. My little guy is 5 weeks old this week. He has spoiled me since day one. We’ve had a few rough nights and some hard days but for the most part, he has been a perfect angel. Our days are filled with mostly cuddles, few screaming fits and lots of sleep. Adjusting at first was hard, but we are getting the hang of things. Not only was sleeping hard because I was uncomfortable but also because every sound he made I was wide awake. I was so worried he’d stop breathing or he would choke on spit up. The constant fear that he would get sick or hurt was overwhelming at times. I even worried about dropping him or accidentally running his head into the door frame every time I went through. He had a rough beginning to feeding. For the first 3-4 weeks, he would throw up his whole meal at least 2-3 times a day. So on top of everything else I was worried about I was also worried he wasn’t getting enough food. One way to tell is how well they are filling their diapers. It’s amazing how much your life suddenly becomes about wet and poopy diapers and whether it’s enough or the right color. For the first little while, I was pretty emotional. Every time he cried, I wanted to cry. Your life is no longer your own, you’d take any upset tummy or anything that hurts them. Anything that might make them cry you’d take in a heartbeat. It’s a wonderful feeling at the same time as a sad/overwhelming feeling. Let’s just say that the first little while is a whole mix of emotions. My advice for surviving those first weeks with a newborn would be this. Sleep when you can, shower – it makes you feel so much better. Accept all the offered help. If people want to bring food let them — even if your fridge is full — start filling up your freezer. 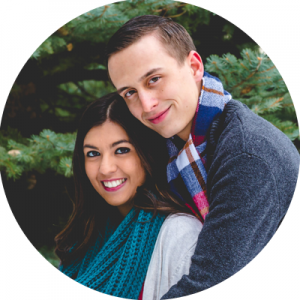 The last thing I wanted to do was cook or figure out what to feed my husband and myself. Visitors are great but make sure you’re ready. If you’re not, don’t feel bad about saying no. It’s a big adjustment, but having people in your space isn’t always the easiest thing. You’re tired, emotional, the baby needs you for everything but make sure you’re taking care of yourself too. Besides the postpartum discomfort and the worry and sleep deprivation, you wouldn’t trade it for the world. When they start making those adorable baby cooing sounds. Or they smile for the first time, you feel this kind of joy and pride that you didn’t know was possible. Watching them grow is sad and exciting at the same time. You want them to stay this small but you can’t wait for their first word or their first step. It’s a lifelong journey that is filled with so many emotions, the ups and downs, the good days and the bad. Love the good and be thankful for those good days during those bad days. Treasure those days because they won’t happen again, enjoy every moment, I plan on it! Oh too funny! 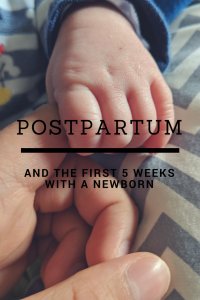 I just wrote about post-partum recovery too! I agree, sleep when you can and shower when you can! Anytime my little one would sleep I would either nap with her or hop in the shower. It was really the only time I could! How brave of you to be so honest aboit birth. Women tend to trick them selves that once they’re not pregnant it’s all better. Oh this is so valuable for anyone trying for a baby. It’s so scary for me when I think about it all. I think I would feel exactly the same. So overwhelming and special at the same time. Hang in there. You’re doing so great. Thank you so much for sharing. I am not a mother so reading about these kind of experiences is scary for me. But as you said, it is worth anything to see your baby smiling or growing or saying “mom”. Thank you for sharing.